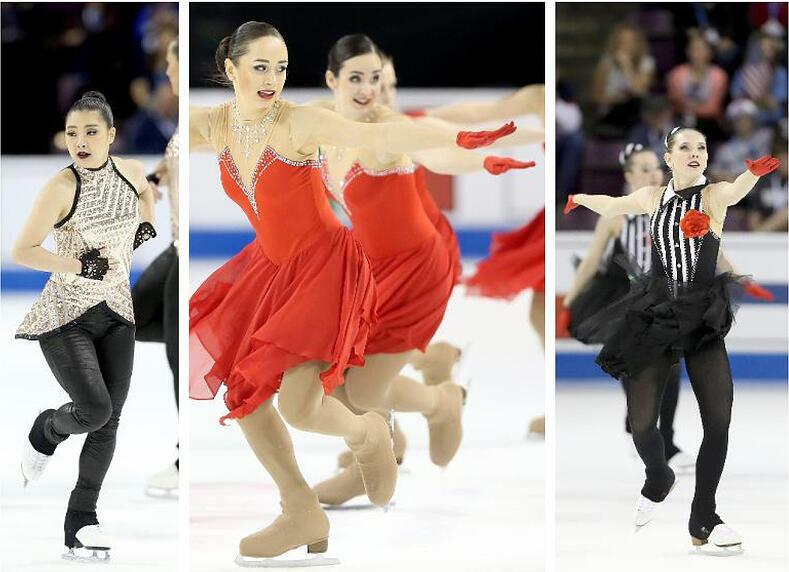 It was an exhilarating weekend for synchronized skating fans - the 2017 World Synchronized Skating Championship was held in sunny Colorado Springs! We were excited to be able to take a field trip to Colorado watch the international competition in person! 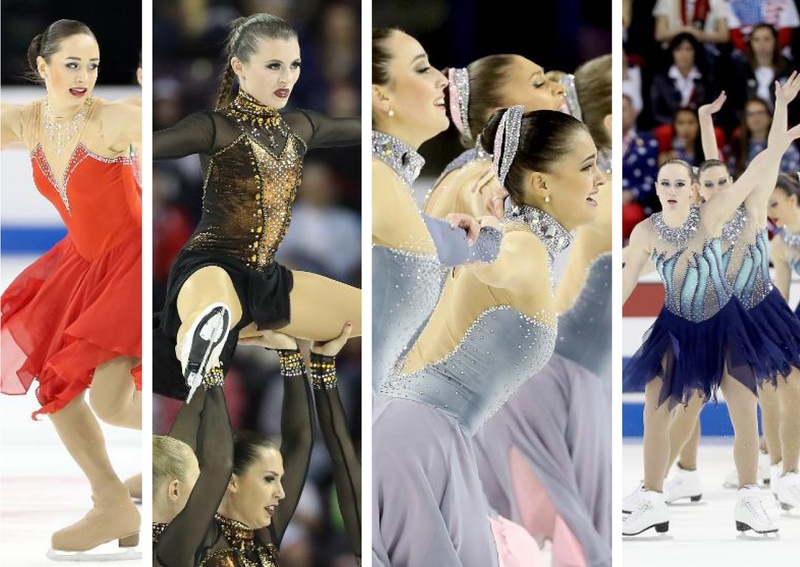 24 teams from 19 different countries competed for the world synchronized skating title - so much amazing talent! Our favorite part? 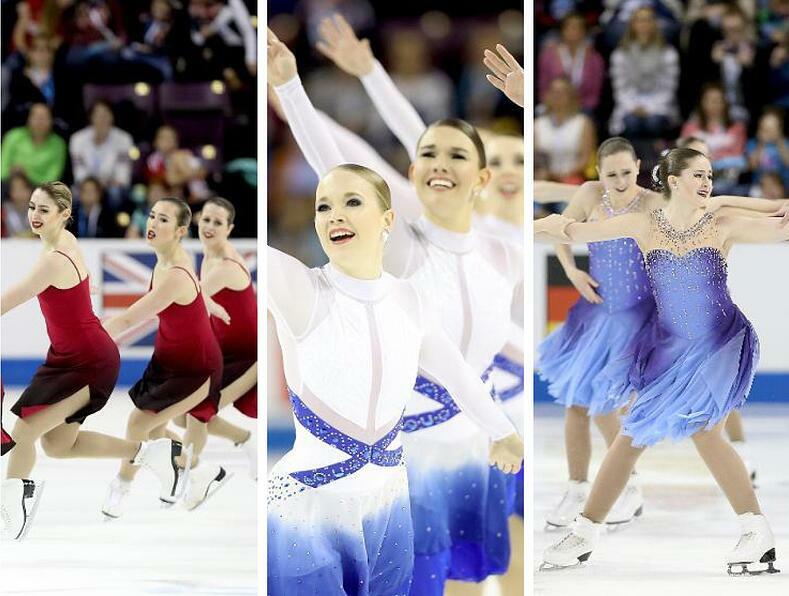 The skating dresses, of course! 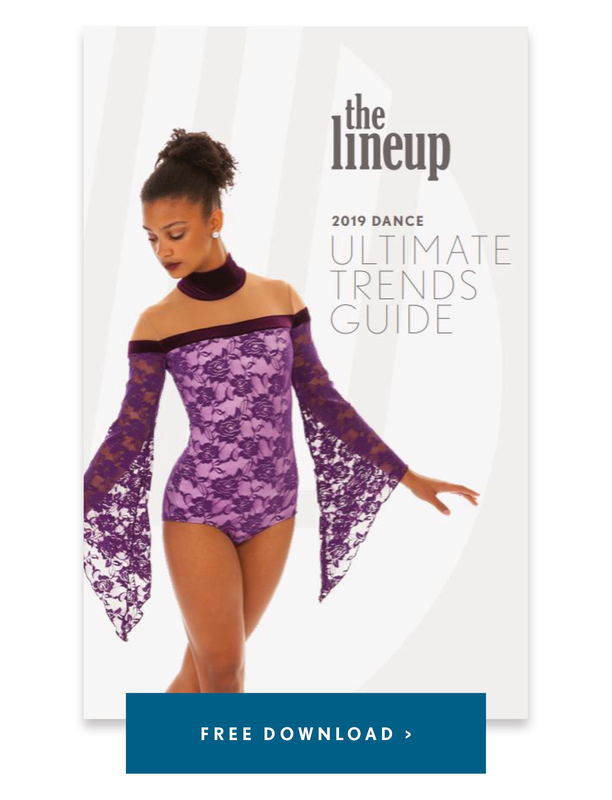 We can't take credit for these stunning dresses, but here are a few of our favorite costume trends from the competition! The world synchro stage knows how to do bling! We loved seeing rhinestones take the form of super-blinged necklaces and chokers on numerous teams. Oversized crystals in massive quantities helped maximize the crowd pleasing sparkle at a distance. Ombrés were everywhere! We loved how color gradients added interest and a modern twist to simple silouhettes. This is a trend we don't see going away any time soon! Teams left to right: Nexxice, Maricold Ice Unity, and the Cyrstalletes. We saw at least five teams sporting gloves or mitts throughout the two day competition! It was a simple addition that added emphasis to arm movements and hand gestures. Gloves created an edgy twist to Team Surprise's glamorous champagne colored dress, added a touch of elegance to Tararstan's regal dress, and helped enhance Tatarstan's circus theme free skate!